Dennis and SISIS have announced that they will be exhibiting at booth number 38 at the 32nd Australian Turfgrass Conference & Trade Exhibition, which will be held at The Crown Entertainment Complex in Melbourne from 21-23 June 2016. Held annually, this event is the largest turf trade exhibition in Australia, showcasing the latest in turf management machinery, equipment, technology and products. 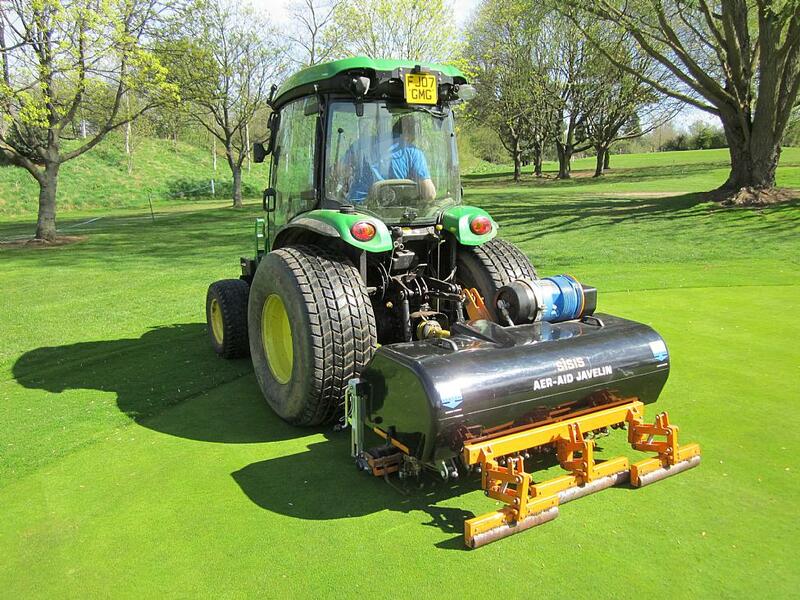 Regular exhibitors at the event, Dennis and SISIS have seen an increased demand for their products in Australia with many greenkeepers and grounds maintenance personnel taking interest in the two companies’ extensive range of turf maintenance equipment. 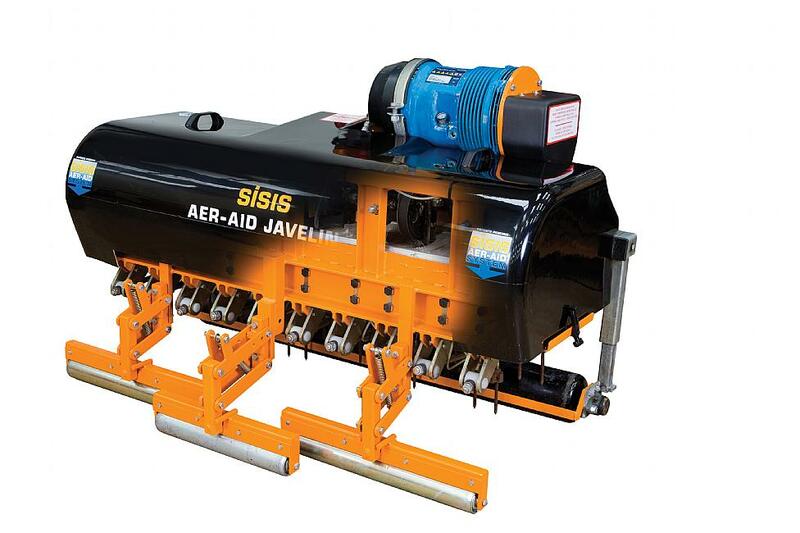 On view will be the Javelin Aer-Aid 1500 tractor mounted vertical action air injection aerator and the Auto Rotorake MK5 –a self-propelled heavy duty scarifier. 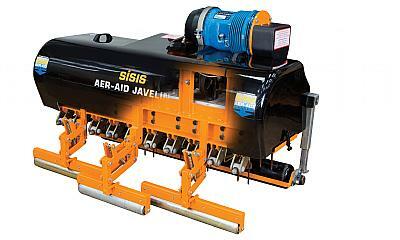 The SISIS Javelin Aer-Aid injects air directly into the root zone speeding up the aeration process, moving air uniformly throughout the root zone for complete aeration and not just where the tines have penetrated the surface. Its air injection tines are specially designed to use the maximum air available from the compressor and it has a wide working width to ensure outstanding lawn care whenever you are ready to aerate. 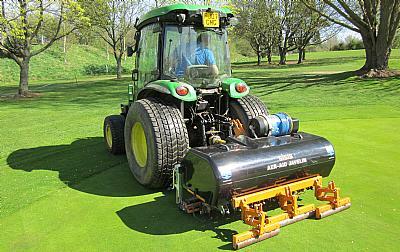 The SISIS Auto Rotorake MK5 with range of interchangeable reels consisting of thatch removal, thatch control and a range of brush reels for both natural and synthetic turf means that it can be used for several different tasks including scarifying, verticutting and brushing. Following the event, the Dennis and SISIS demonstration team will prolong their stay in which they will be embarking on a two week product demonstration tour. In conjunction with two of their Australian distributors, JT Turf Ltd and KC Farm & Supplies, the tour will enable groundsmen and greenkeepers to see just how good the products are through working demonstrations.